If you haven’t heard of Beauty Bakerie before, you will now. They’re a small cosmetics line that is dedicated to the stay power of makeup while also making sure they’re cruelty-free. Their ‘Lip Whips’ are drawing in people by the hundreds and it’s not really much of a shocker. 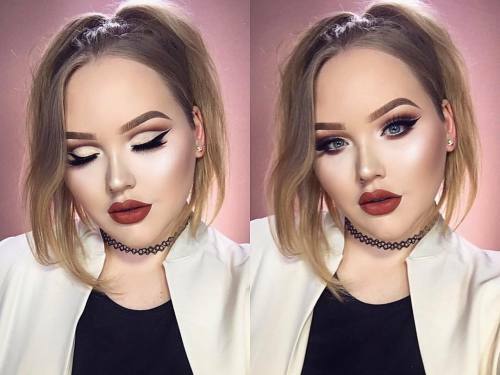 Beauty Vloggers such as NikkieTutorials have even featured them on their YouTube channels. The line features some of the most beautiful shades of liquid lipsticks we’ve ever laid eyes on. They don’t come off with water, or even with dish soap. They come off with oil based cleansers only! They are smudge proof to the max and are the reason we think this brand needs to explode! Makeup artists like Lottie Tomlinson have shown love for the brand too! To get some of their best sellers, visit them here. Make sure you support them by following them on their Twitter, Facebook and Instagram. They will keep you updated on restocks if you sign-up for their newsletter. If you love liquid lipsticks and are itching to just try something that isn’t Colourpop or Stila, we suggest trying them out! You’ll be supporting a new brand, but not for long…we know this brand is going to explode! Get your Lip Whips now while you can! they sell out quickly! Have you tried Beauty Bakerie? Will you be trying them soon?